Since 1959, Barbie has inspired the limitless potential in every girl, whether that’s to be a princess, a doctor, an astronaut, the president, etc. There isn’t a ceiling that she hasn’t broken! As arguably the most famous doll of all time, Barbie has served as a pop icon and muse to the fashion world. With the rise in streetwear, it’s no surprise that Barbie has collaborated with Japanese street wear legends, BAPE. 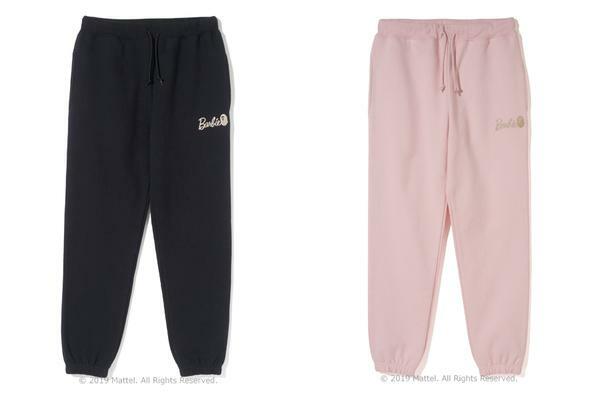 By combining Barbie’s signature pink with BAPE’s infamous insignia, they have created an iconic collection of apparel and accessories for women and children! BAPE x Barbie blends BAPE’s signature camo with Barbie’s classic ponytail silhouette for a unique tribute to the brands’ globally recognized logos. Their collaboration includes 17 pieces including jackets, sweatshirts, pants, jewelry and more! Enter the best of the BAPE and Barbie worlds on April 6th at any A BATHING APE locations or online!